Internationally recognized graffiti artist, author & keynote speaker. If you are not thinking about disruption, complexity and continual innovation in your industry, then we’ve got news for you: You are ignoring a perilous gaping void, and if you don’t fill it, someone else will. Technology and culture are in a state of continual flux, and today’s business demands an environment where innovation is not only welcomed, but required. So how can you keep up and instill a disciplined approach to innovation? 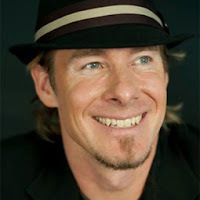 Erik Wahl, bestselling author, artist and one of the nation’s most in-demand keynote speakers. 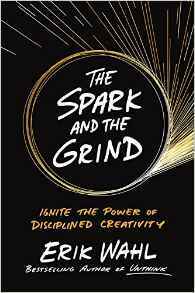 His new book and presentation, THE SPARK AND THE GRIND: IGNITE THE POWER OF DISCIPLINED CREATIVITY presents the yin and the yang of the creative process: How to create and maintain the flow of ideas, and how to execute them. The world is filled with dreamers and doers—but the only way things happen are when dreamers muster the mental tenacity and hard work, and when doers harness their innate creativity and flexibility. Erik’s dynamic presentation explores the process of creativity and creation. Audiences are inspired to laughter, tears and always leave with a desire to unearth more meaning in their work and their lives, and the tools to find it. · Deconstructs the process and discipline necessary to realize the visions of master creators such as Isaac Newton, Thomas Edison and Martin Luther King, Jr.
· Drives home the importance of creative culture, regardless of industry, and how to harness it for individual and collective success. 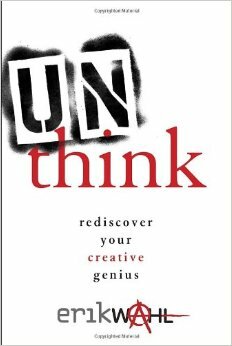 UNthink is the signature keynote experience from Erik’s bestselling book. It is dynamic multi media keynote experience specifically designed to challenge audiences to achieve superior levels of performance. It will inspire them to let go of their traditional thought patterns and better understand how to create disruptive strategies of innovation. Creativity is in all of us. We simply need to rediscover the keys that will unlock our untapped potential. UNthink will Unleash organizational excellence and help your audience better understand that they are all capable of so much more than they have been conditioned to believe. The best sustainable edge in business is the ability to differentiate yourself from your competition. Through this entertaining and highly practical program, we will uncover new ways to make your organization more creative, innovative and profitable, but more so, help your employees see the need to become better storytellers within and for your company and industry. His breakthrough thinking has earned praise from top influencers in the realms of art and business. Erik discovered an alarming truth early in his career as a partner in a corporate firm: organizations that encouraged creative thought did better than those that did not put innovation as a priority mission. So he set out to challenge companies to change their way of thinking. In the meantime, inspired by street art, he became an acclaimed graffiti artist—though he has since stopped selling his works for personal gain, and instead uses his art to raise money for charities. His keynote is where his passion for business growth and art dovetail.